Mild-mannered assistant by day, milder-mannered writer by night, Tarun Shanker is a New York University graduate currently living in Waltham, MA. His idea of paradise is a place where kung fu movies are projected on clouds, David Bowie's music fills the air, and chai tea flows freely from fountains. He is the author of These Vicious Masks, These Ruthless Deeds, and These Vengeful Souls. Kelly Zekas, a New York University graduate, writes, acts, and reads in New York City. YA is her absolute favorite thing on earth (other than cupcakes), and she has spent many hours crying over fictional deaths. She also started reading Harlequin romances at a possibly too-early age (twelve?) and still loves a good historical romance. 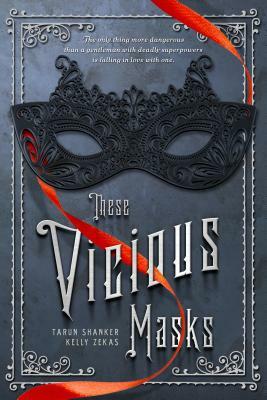 She is the author of the These Vicious Masks, These Ruthless Deeds, and These Vengeful Souls.